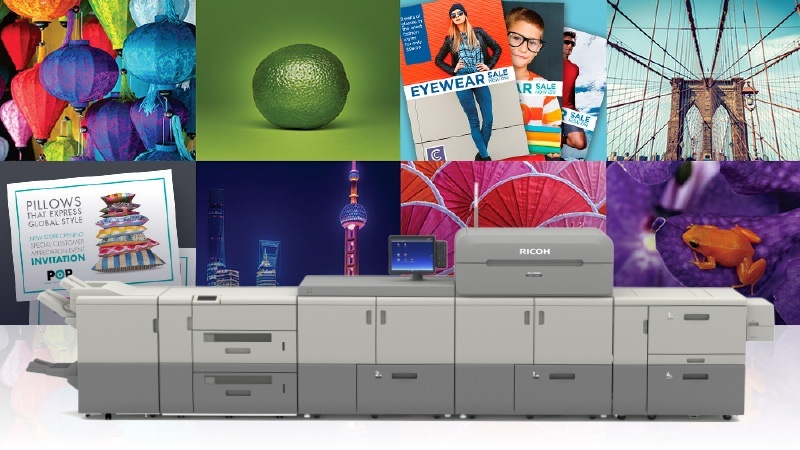 Ricoh USA, Inc. today unveiled additions to its Commercial & Industrial Printing Business Group portfolio that set a new standard for best-in-class price performance in its category. The RICOH Pro C9200 and C9210 Graphic Arts Editions provide an affordable, predictable way for businesses to maximize revenue due to its up-time and reliability. Ricoh's latest strategic investment empowers customers to expand into new markets with the ability to produce book jackets, six-page brochures and other unique applications that require media of up to 470 gsm. "When our customers speak, we listen. They challenged us to deliver a press that increases productivity and reliability. The RICOH Pro C9200 series does just that at a price performance never before seen," said John Fulena, Vice President, Commercial & Industrial Printing Business Group, Ricoh USA, Inc. "We are redefining the value printers should expect from their presses, even in the most demanding production environments. These are among the most productive sheet-fed presses yet, and they are a direct result of listening to our customers and making strategic investments to help them deliver exceptional customer experiences." Both the RICOH Pro C9200 and C9210 are ENERGY STAR® certified and carry an EPEAT® Silver rating. Give us a call to see if these awesome new machines are a good fit for your business, or check out all our commercial offerings here.